Park West Place offers more than 50 restaurants and shops in northern Stockton. In 2006, this location made sense for our next Moove. The center makes one-stop shopping a bit easier. This is our largest location and has been our prototype. 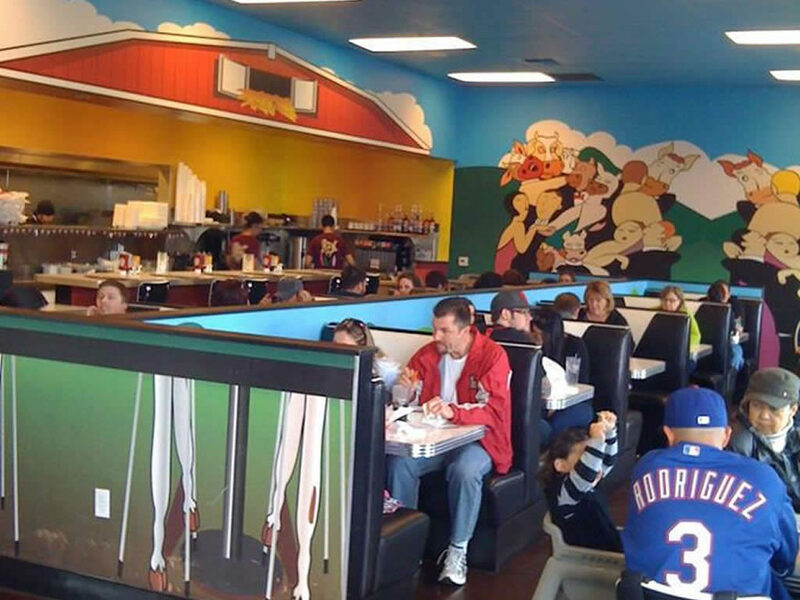 Unlike the Downtown Stockton and Lodi locations, however, we were unable to hand paint our murals. Instead, we digitized our murals and had them printed to maintain the look and feel. **During the summer, we are open until 8:30 and 9:30 pm, respectively. Email application to parkwestmoo@moo-moos.com or fax to (209) 957-9455.